Nice clear pic. 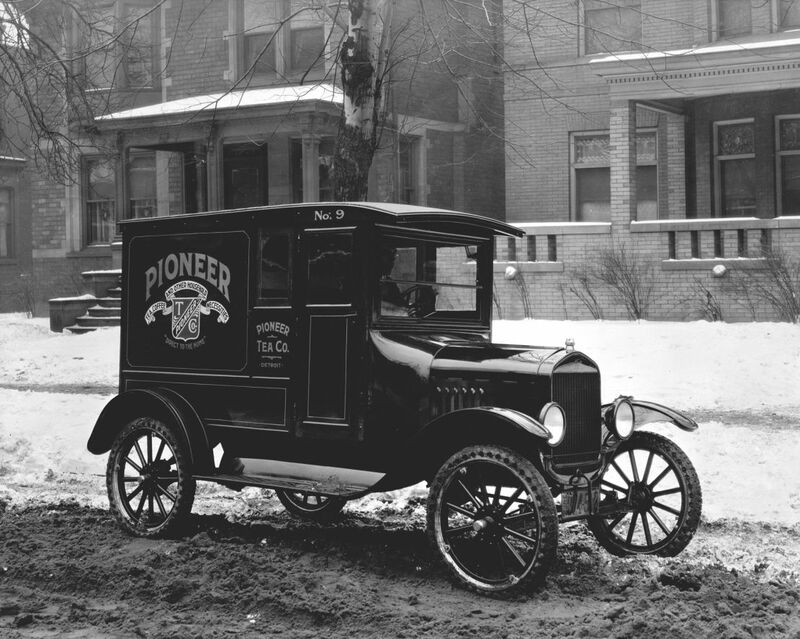 Looks like day one for that truck, around 1924. It must belong to someone who does not like fixing flats. You might like the way they look but you probably have never driven with them. Poor traction, especially on snow, and terrible stopping on dirt or sand. Also do not run over a beer car with them! The can will crimp around the tire and not let go, down the street you go, click click click. Don't ask me how I know! Very cheap to operate, they lasted a long time. That is a nice body incorporating a Coupe or Sedan cowl and windshield. Not the usual flat dash used in commercial bodies. They might be on their way to a tea party!